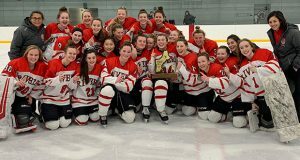 There have been very few women who have coached on boys prep hockey staffs over the years, but this season, there are two women serving as assistant coaches for boys prep hockey programs: Becky McCabe at Berkshire School and Katie Stames at Vermont Academy. They have taken different roads to their current positions. McCabe served as the head coach of the Berkshire womens team the last three seasons, and had a four-year career at Boston College. Stames is a recent graduate of St. Lawrence University, where she starred in soccer. She was a three-sport athlete during her high school years at Peoples Academy in Vermont. Both women did have the same question entering the season, however, whether the players would welcome them with open arms right away, or if it would take time for them to warm up to a female coach on the staff. Both Stames and McCabe had positive experiences right from the start. Katie Stames is a first-year member of the Vermont Academy boys coaching staff. 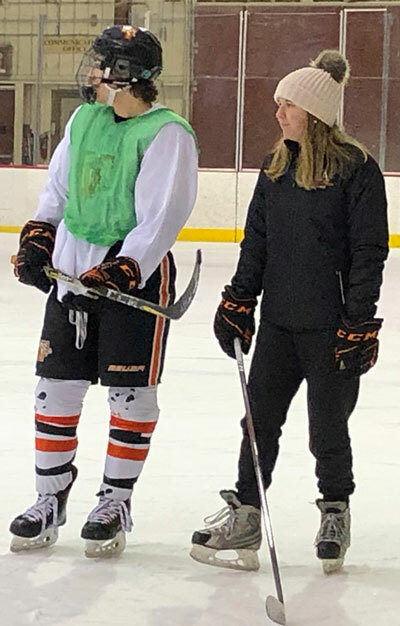 McCabe built her relationship with the team early on, living and serving as a dorm parent in the same dorm building as some of the players and getting to know many of the students off the ice first. After coaching on the girls side, Becky McCabe has this winter joined the coaching staff of the Berkshire boys varsity team. 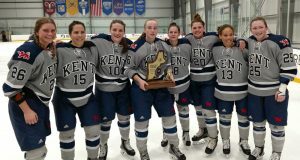 McCabe also played her scholastic hockey at Berkshire, a 2005 graduate of the school, and was a key member of the Bears teams that won the New England Girls Ice Hockey Prep School D1 Championship back in 2003. 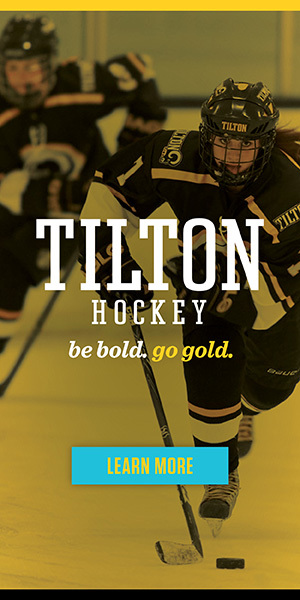 She now not only serves as the assistant boys hockey coach but also is a track and field coach, a dorm parent and the Associate Director of Admissions. 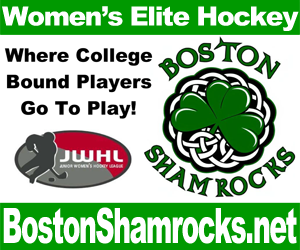 At Boston College, she was member of the women’s ice hockey team that earned two NCAA tournament appearances and three Beanpot championships. 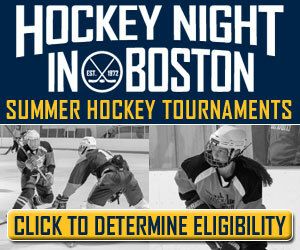 McCabe was also named to Hockey East First and Second teams during her time there. She found the change from the womens game to the mens game rather easy. For Stames, the biggest challenge, was making the transition from college athlete to coaching. 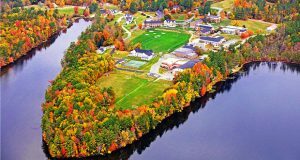 Stames commends Vermont Academy for welcoming her with open arms and allowing her the opportunity to get to know her students outside of the classroom. 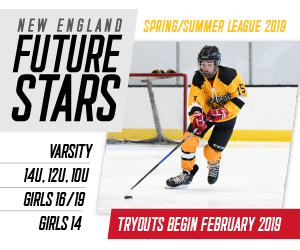 McCabe said she was influenced to move over to the boys hockey side by her older brother, Loomis Chaffee boys head coach J.R. Zavisza, whom she has considered a role model since she was a kid. She knew switching to coaching on the boys side would certainly have its differences. One of Stames’ big takeaways from her experience coaching so far is that she, along with McCabe, can inspire other female coaches to coach in any capacity that they want and that your gender should not matter. Now that she made the transition, McCabe doesn’t see herself ever going back to coaching girls and hopes that other schools are willing to put women into bigger coaching roles. Both Stames and McCabe are blessed to be in the roles that they are in currently and they both feel the schools they coach and work at are a big reason why.